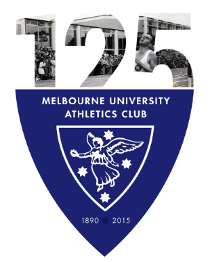 Lisa Weightman, a Melbourne University Athletics Club member, and Preston Athletics Club member, won bronze at the Delhi 2010 Commonwealth Games, with a determined run in the marathon, on Thursday, 14th of October. Several times during the race Lisa lost touch with the leaders but fought back in the last 10km to claim third place in 2:35:25. In the humid and thick air of Delhi, the racing was tough. However Lisa was up to the task, showing great determination to come third behind Irene Kosgei (2:34:22) and Irene Mogake (2:34:43) of Kenya. 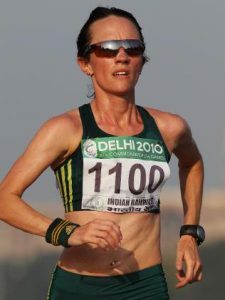 The race continues Weightman’s progress into the premier rank of international marathon runners, after a 33rd place at the 2008 Beijing Olympics and an 18th at the 2009 World Championships in Berlin. Lisa’s medal is the first Commonwealth Games medal for MUAC since Irie Hill won bronze at the 2002 Manchester Commonwealth Games in the Pole Vault.